On March 2, 2019 the Houston Chronicle published an article by Professor Victor Flatt on the potential impact of a Green New Deal on Houston and the regional economy. Professor Flatt’s op-ed, “”With one tweak, the Green New Deal could be great for Houston” details how the energy industry could benefit from policies that allow monetary gains from carbon sequestration and storage. Flatt argues that “With a significant price on carbon, companies will have an economic incentive to reduce, store and offset carbon emissions . . . If our energy companies are as innovative as they say, they should have no trouble bringing [ ] innovation to carbon capture, sequestration, negative emissions technologies, renewable generation and effective offsets.” You can read the op-ed in its entirety here. 3L Maria Cristina Ortegon has secured an internship at the International Centre for Settlement of Investment Disputes (ICSID), the Arbitration Center for Investor-State Disputes of the World Bank, in Washington D.C. Ortegon, interested in doing international law since her first year at UHLC, organized her academic curriculum with a concentration on energy law, international law, transnational investment law, and arbitration. 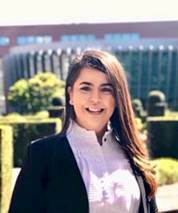 She participated in the internship program at PEMEX in Mexico City in 2017, thanks to the support of UH Law's Center for U.S. and Mexican Law and its director, Alfonso Lopez de la Osa Escribano. Last summer she worked at TransCanada and participated in the Private International Law Summer Courses at the Hague Academy of International Law. She studied with students from more than 90 different nationalities, and the experience contributed to consolidate her interest in international law and arbitration. Ortegon is a member of UH Law's Investment Arbitration Moot Team, which was a finalist in the International Investment Arbitration Moot Competition in Spanish at American University in the Spring of 2018. The ICSID program is very competitive, receiving applications from around the world. Congratulations to Ms. Ortegon! On December 7 EENR hosted its inaugural Environmental Works-in-Progress Roundtable, co-sponsored by the University of Calgary Law's Natural Resources, Energy, and Environmental Law Program. A group of scholars from both the U.S. and Canada submitted draft articles, each of which was commented on by a panel of discussants. Submitting participants included Nick Bryner (LSU Law), Vanessa Casado Perez (Texas A&M Law), Emeka Duruigbo (Thurgood Marshall Law), Shannon Roesler (Oklahoma City Law), and David Wright (Calgary Law). Discussants included Blake Hudson (UH Law), Gina Warren (UH Law), Alastair Lucas (Calgary Law), Allan Ingelson (Calgary Law), and Victor Flatt (UH Law). Topics included executive power under the Constitution's Property Clause, international shale gas development, commodification of water resources, the intersection of science and agency decision-making, and the social cost of carbon in environmental impact assessment. On Thursday November 1, Professor Flatt spoke at the Blank Rome annual energy conference in Pittsburgh Pennsylvania on the topic of the impact of trade policy on the United States energy sector. In particular, Professor Flatt reviewed the impact of the recent Mexican presidential election and the re-negotiation on oil and gas development and renewables deployment. 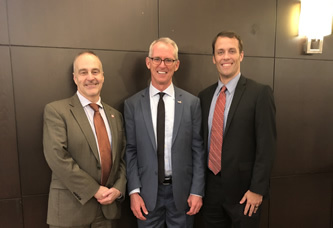 On October 3, former U.S. Representative from South Carolina, Bob Inglis, presented "Solving Climate Change with Courage and Conservative Principles" at the UH Hilton ballroom. Inglis detailed a proposal to price carbon with a tax that is offset in a way that is either revenue neutral, so that increases in citizen energy costs can be offset by decreases in citizen taxes elsewhere, or citizens might receive a dividend check out of the tax revenues generated. 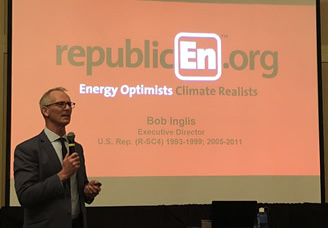 Inglis is the executive director of republicEN.org, a group of conservatives supporting action on climate change. You can read more about the organization here. Professor Gina Warren was selected to present "Energy Law – The Basics and Then Some" at the inaugural Institute for Energy Law's Leadership Class on September 20, 2018, Houston, TX. The program is designed for energy professionals who have been practicing energy law for three to ten years and who seek to develop stronger leadership skills through education, diversity and career training, and team project management. 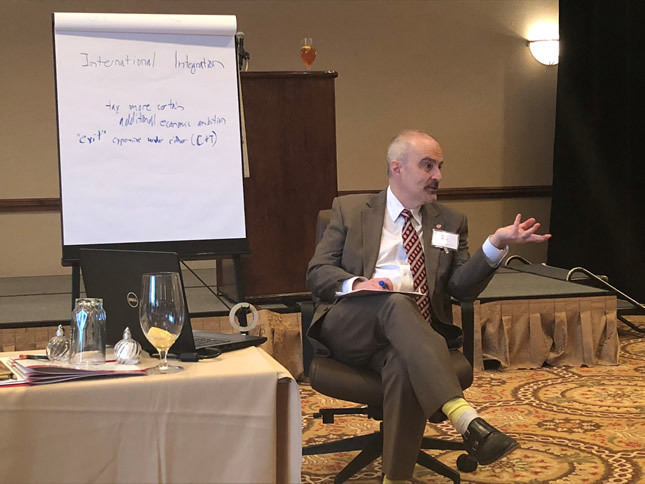 Professor Tracy Hester presented his article, "Consent Decrees as Common Law," on Sept. 22 at the Vermont Law School Colloquium on Environmental Scholarship, an annual conference bringing together environmental scholars from around the country. On Sept. 14, Hester and Dr. Ramanan Krishnamoorti, UH's chief energy officer, convened and moderated an invitational workshop on "Negative Emissions Technologies in the Energy Industry" at UH's Insperity Center. This workshop brought together, for the first time, top negative emissions technologies researchers and leaders in the energy industry to discuss how these technologies may play a role in future energy strategies. On Sept. 6, the Paul M. Hebert School of Law at Louisiana State University brought Hester to speak on "Environmental Law and Climate Engineering" as part of its invitational speaker series. While there, Professor Bret Wells and Hester participated in a half-day workshop hosted by LSU by presenting their pending paper "Abandoned But Not Forgotten: Improperly Plugged and Abandoned Wells May Pose Serious Concerns for Shale Development," which has recently been accepted for publication in the Michigan Journal of Environmental and Administrative Law. On August 27, 2018 the Houston Chronicle published an article by Professor Victor Flatt on the impacts of the Trump Administration's rollback of environmental policies on Houston's air quality. Professor Flatt details how the courts have been, and will remain, crucial to preventing Trump's attempted rollbacks from coming to fruition, given their many legal deficiencies. You can read the op-ed in its entirety here. Professor Sarah Morath's article, "Private Governance and Animal Welfare," has been published in Volume 9 of the George Washington Journal of Energy & Environmental Law. The article explores the various types of private governance that has emerged in response to both a regulatory void and growing consumer demand for the humane treatment of agricultural animals. The article provides a brief overview of farmed animal welfare concerns and focuses on three private governance instruments being used to address farmed animal welfare: performance standards; information; and procurement or supply chain contracting. The article also explores different motivations for the changes being made by private entities including consumer preference, state legislative requirements, and investor concerns. You can access the article here. Professor Morath also published an article titled "Hydroponics: The End of Organic?" in Volume 33 of Natural Resources & Environment. The article explores the statutory and regulatory background of organic labeling and the challenges, opportunities, and implications of fitting hydroponics into the organic framework. You can access the article here. 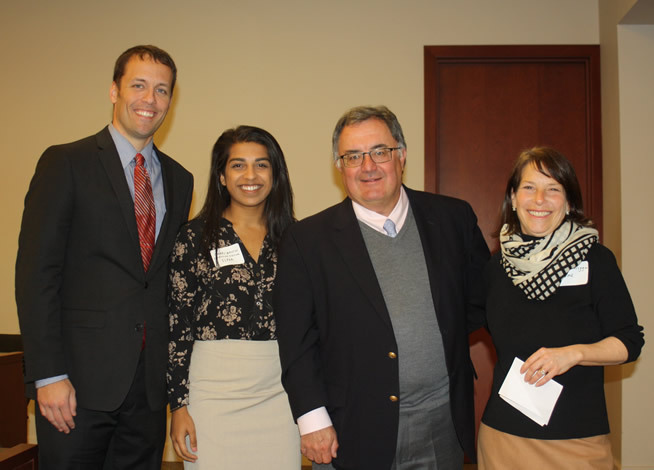 Two University of Houston Law students have recently placed in national writing competitions. Current 3L Maddison Riddick participated in a writing competition sponsored by the American Bar Association's Renewable, Alternative, and Distributed Energy Resources Committee of the Section of Environment, Energy, and Resources. Her article, Curb Appeal v. Renewable Energy: Ensuring Access to Solar Energy within Homeowners Associations won second place in this year's Energy Law Competition, and will be published in the committee's annual newsletter later this year. Riddick's article discusses how homeowners' association covenants are a barrier to entering the renewable energy market for many Americans, and how states can mitigate HOA power to enforce such covenants. Specifically she calls for the enactment of laws that either restrict the HOA's power to enforce outright prohibitions on solar panels or that require HOAs to offer small-scale community solar projects as an alternative to individual residential solar installations. The two other students placing in the top three are from the George Washington Law School and the Georgetown Law Center. To see the ABA's announcement, see here. Recent Houston Law graduate Danny Wicoff participated in the Institute for Energy Law's Hartrick Scholar Writing Competition. His article, Where Does the Wind Blow? : Challenges to Offshore Wind Development in the United States, was selected as one of only 6 finalists nationally. Wicoff's article discusses the challenges faced by offshore wind developers in the U.S. and proposes potential solutions to address regulatory uncertainty for such projects, including the Department of the Interior's plans to facilitate better communication between appropriate stakeholders. The winner of the competition is from the University of Alabama School of Law, while the other four finalists are from Denver Law, Florida State Law, University of Colorado Law, and Penn State Law. To see the IEL's announcement, see here. 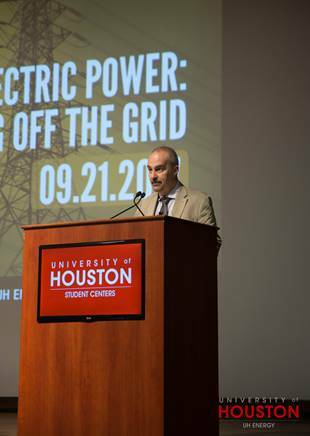 The University of Houston Law Center's Environment Energy and Natural Resources (EENR) Center, in collaboration with the University of Houston's Graduate Certificate in Global Energy, Development, and Sustainability (GEDS) and the University of the West Indies, are co-sponsoring a conference on Caribbean Energy Policy, Societies, and Law. 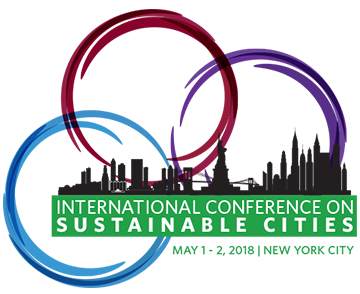 The conference will be held in Trinidad and Tobago on October 4, 2018. Abstracts are due August 15, 2018. To see the full call for abstracts and details about submitting a paper, click here. After several workshops and research areas, the University of Houston Law Center's Environment Energy and Natural Resources (EENR) Center and the University of North Carolina School of Law's Climate, Energy, Environment, and Economics (CE3) Center have released two white papers discussing federal limitations on state pricing of distributed energy and also current state distributed energy pricing policies. To download the papers, click here. On June 16, 2018 Professor Victor Flatt presented his paper: "Environmental Markets: Modeling Commodification" at the Society for Environmental Law and Economics (SELE), which took place in Chicago, IL, and was hosted by the Notre Dame Law School. This paper, written with Professor Michael Pappas of the University of Maryland Law School, examines specific costs associated with trying to create markets in goods that traditionally are not commodified. In particular, the paper focuses on costs previously under-examined, the costs (potentially irreversible ones) that come from a market trying to reach equilibrium. The paper builds on Professor Flatt's work in environmental markets, which he teaches at the UH Law Center and the UH Bauer Business School. Professor Hudson's talk, "Land Development: The Most Wicked Environmental Problem of Our Time," presented on June 19, can be viewed here: (https://livestream.com/vermontlawschool/hottopics2018/videos/176540863). On May 4, energy and environment experts from academia, business and politics examined potential problems and solutions to present and future energy and environmental issues at the Second North American Environment, Energy and Natural Resources Conference at Partnership Tower in downtown Houston. Co-sponsors for the two-day titled, "North American Energy and Environmental Policy in Transition" included Blank Rome, LLP, and the University of Calgary Faculty of Law. 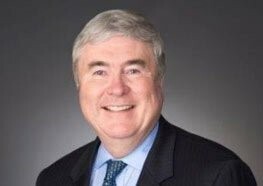 "From NAFTA, to climate policy, pipelines to LNG, the electric grid to Mexican energy privatization, there has never been a more exciting and yet precipitous time in the energy integration of North America, and the continuing need for a healthy and climate-stabilized environment," said Professor Victor Flatt, faculty director of the Law Center's Environment, Energy, and Natural Resources Center. Read more about the conference here. 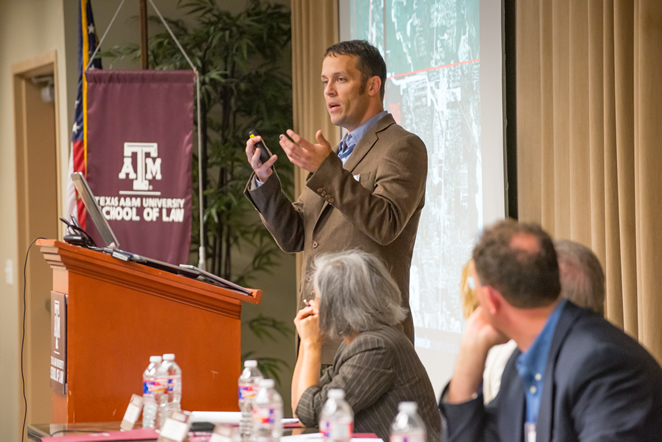 On April 13, 2018 Professor Blake Hudson presented his research, "The Most Wicked Environmental Problem: Land Development," at Texas A&M University School of Law's Dispute Resolution Conference: "National Disasters, Stakeholder Engagement, and Dispute Resolution." Hudson discussed how land development is a more "wicked" problem (that is, a problem whose solution is tremendously complex) than many other environmental issues that tend to receive more attention. 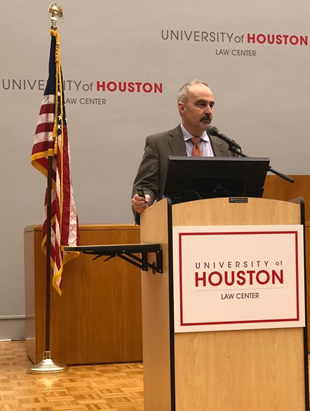 Hudson highlighted Houston's approval of new development in currently undeveloped floodplains even after hurricane Harvey as an example of the difficulty in tackling environmental problems through land use planning (read more on that issue here). Hudson is currently working on an article on the topic. 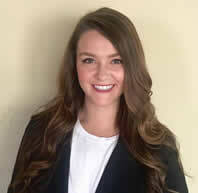 LLM student Natalie Nowiski has published her article, "Rising Above the Storm: Climate Risk Disclosure and Its Current and Future Relevance to the Energy Sector," in Volume 39 of the Energy Bar Association's Energy Law Journal. In the article, Nowiski analyses the increased pressure that energy companies will face to provide "enhanced climate risk disclosure in their financial reporting." She recommends strategies energy companies can utilize to respond to these pressures and argues that it is in the long-term interest of energy companies to "participate in the formulation of fair, realistic and viable industry standards for climate risk disclosure." Professor Gina S. Warren presented her research on the negative environmental and social impacts of large sporting events (ranging on a spectrum from events like the Boston Marathon to the World Cup and summer Olympics) at the International Conference on Sustainable Cities, hosted by Fordham, Columbia, and NYU. Watch for Professor Warren's forthcoming article on the topic, entitled, "Big Sports Events Have Big Environmental and Social Consequences." Energy industry professionals throughout North America will gather in Houston Thursday and Friday for the Second Annual North American Environment, Energy and Natural Resources Conference, titled "North American Energy and Environmental Policy in Transition." The event is sponsored by the Law Center's Environment, Energy & Natural Resources Center, Blank Rome LLP, and the University of Calgary Faculty of Law. The two-day event will be held at the Greater Houston Partnership's Partnership Tower at 701 Avenida de las Americas, Suite 900. The conference is designed to address the energy, environmental, natural resources legal issues that span Canada, the U.S. and Mexico. The conference will address issues surrounding NAFTA renegotiation or abandonment, diverging climate change policies, the acceleration of renewables on the North American grids, the privatization of Mexico's energy sector and what these changes mean for the energy business, the economy generally, and the environment in each of these countries. April 18, 2018: Professor Flatt Presents on "The Future of Solar Power" at the 2018 Tulane Environmental Law Conference. April 18, 2018: Student Sarah Luther Places Article in the Vermont Journal of Environmental Law. 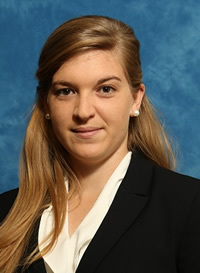 Student Sarah Luther has placed her article, "From Un-Coordinated to Efficient: A Proposal for Regulating GE Products in a Way That Meets the Needs of Consumers, Producers, and Innovators," in the Vermont Journal of Environmental Law. The article assesses the efficacy of the Coordinated Framework for the Regulation of Biotechnology, established under President Reagan and meant to be a comprehensive federal regulatory policy for ensuring the safety of biotechnology research and products. Luther argues that the implementation of the framework has not kept up with evolving technologies, and that the Food and Drug Administration dominates its implementation, with little input from the United States Department of Agriculture and the Environmental Protection Agency. This, Luther argues, creates administrative inefficiencies, unwarranted costs on the regulated community, and potential deterrence for innovation. The article will be published in the fall issue of VJEL. An article written by EENR Professor Blake Hudson on the failure of critics of federal environmental regulation to offer alternative solutions has been cited as one of the top environmental law and policy articles of the year. 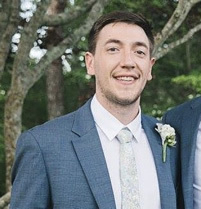 Hudson presented his article, "Relative Administrability, Conservatives, and Environmental Regulatory Reform," March 12 as part of a joint symposium hosted by Vanderbilt Law School and the Environmental Law Institute of Washington, D.C. Originally published in the "Florida Law Review" in 2016, the article was one of five selected for publication in Vanderbilt's "Environmental Law & Policy Annual Review" after law students reviewed more than 800 articles printed in 2016-2017 and received feedback from ELPAR's advisory board. Read more about Hudson's article here. 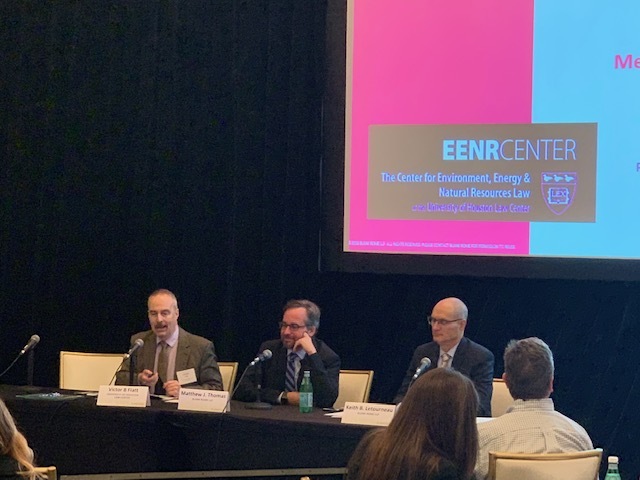 EENR, the Duke Energy Institute, the UH Energy Institute, and the Duke University Nicholas Institute hosted a 2 day workshop on the Federal Pricing of Carbon, focusing (in part) on whether a cap-and-trade or a taxation approach is preferable. The workshop featured a keynote by Ambassador C. Boyden Gray, and a presentation of the Climate Leadership Council tax proposal by Pam Giblin, CLC Senior Policy Advisor. The workshop also featured a roundtable discussion with academics and policy makers analyzing carbon pricing options. 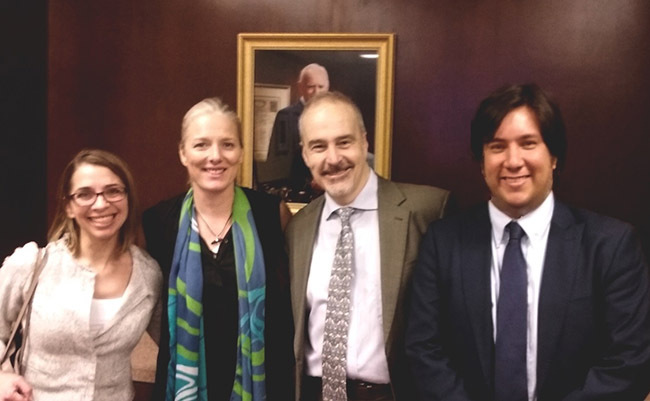 Catherine McKenna, Canada's minister of environment and climate change, toured the Lone Star State last week, and met at the University of Houston with representatives from the UH Energy Initiative, the Hurricane Resilience Consortium leaders, and the Environment, Energy, and Natural Resources (EENR) Center. Minister McKenna is the Canadian environment and climate representative on the NAFTA re-negotiation team. Minister McKenna discussed methods to finance climate change adaptation with Professor and EENR Director Victor B. Flatt. 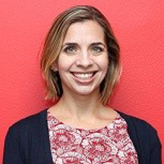 EENR's Sarah Morath was recently elected to the Board of the Citizens' Environmental Coalition, based out of Houston. The CEC's mission is to "foster dialogue, education, and collaboration on environmental issues in the Houston/Gulf Coast region." You can learn more about the CEC here. December 6, 2017: Professor Flatt Welcomes Mexico's Energy Regulatory Authority (CRE) to Houston Law and the EENR Center. 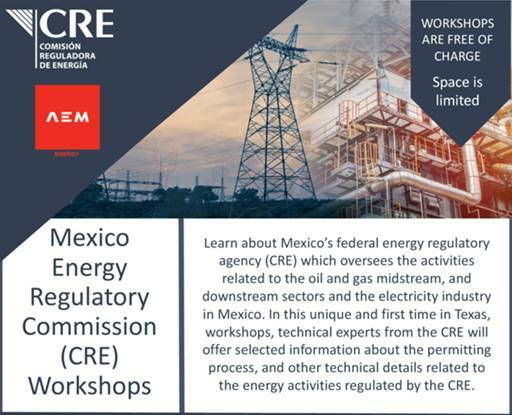 On Wednesday, December 6, the EENR Center will host a workshop on the Mexico Energy Regulatory Commission. Speakers will discuss permitting and related issues regarding LPG, electricity, refined products, natural gas, and more. Read more about the Houston workshop here. Register here. 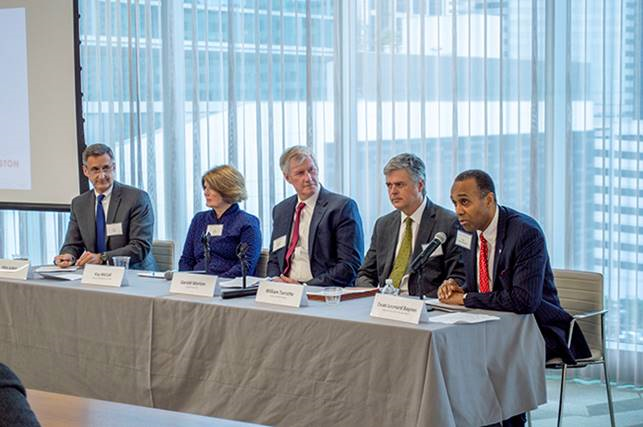 On Tuesday, November 14, EENR Faculty Director Victor B. Flatt, EENR Fellow Julian Cardenas, and three UHLC law students met energy secretaries from the United States, Canada, and Mexico, who were in Houston to discuss energy trade related issues. 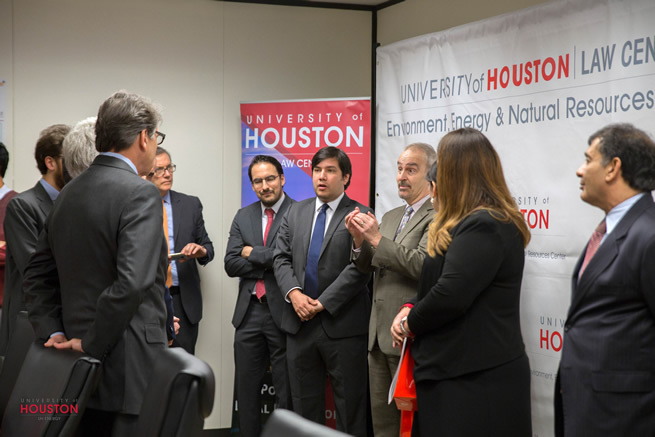 Before they toured the UH Energy's superconductivity research lab, Canadian Natural Resources Minister Jim Carr, U.S. Energy Secretary Rick Perry, and Mexican Energy Secretary Pedro Joaquin Coldwell discussed UH programs with a select group of faculty and students. 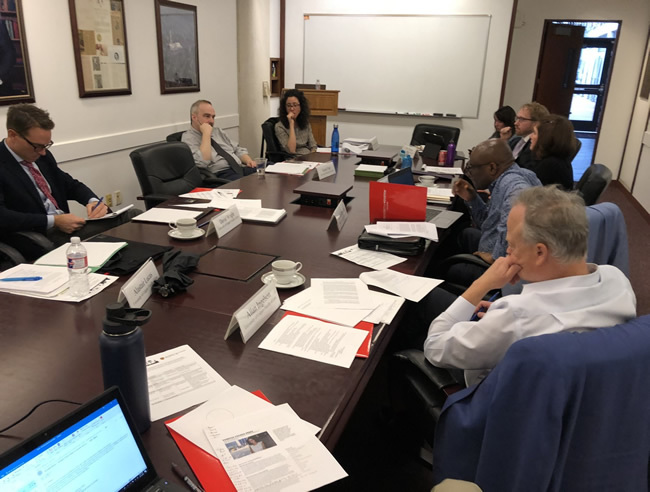 The ministers were keenly interested in UHLC and the University of Calgary's joint law degree, and the connections between UHLC and the environmental and energy reforms in Mexico.